The competitive program is designed for the serious dancer who demonstrates a natural apt for dance as well as a passion for performing. Students will adhere to a demanding rehearsal schedule, show drive and determination in all classes, as well as demonstrate strong work ethic to their fellow classmates, teachers and choreographers. 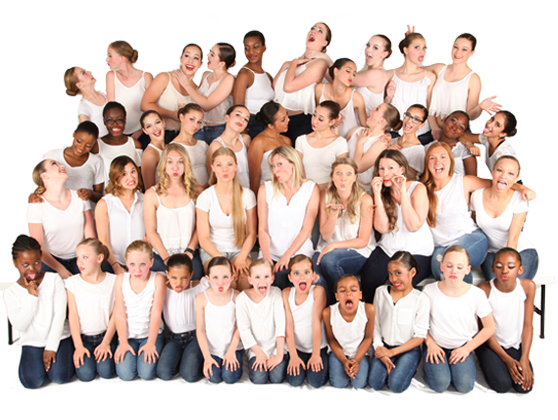 There is a great sense of accomplishment when participating on the competitive team with Protégé Dance Company. In addition to new skills, choreography and strengthened technique, a true sense of teamwork is attained as well as one’s self-esteem. The confidence that students attain is sincerely immeasurable as are the long-lasting friendships they create! Protégé Dance Company's Competitive Team begins at 6 years of age. Designed for the introductory young student (6-7yrs) and the high school student (Gr. 9-12) who wish to dance with a maximum of 5 hours per week commitment. Classes in: Ballet, Jazz, Tap (Optional Acro or Hip Hop). Groups only. Designed for the Elite and Serious Dancer (8yrs & up) who is self-motivated, self-disciplined, thrives on challenge and understands his/her role to the team. Intensive 15-20 hour weekly schedule with training in ballet, jazz, tap, acro, lyrical, contemporary, stretch, jumps & turns and hip hop. Students who are eager to excel will do well in this program. Groups are mandatory. Solo, Duet and Trio's are by invitation only. Attendance at the competitive level is mandatory. Absenteeism is not tolerated. Any student who misses class without prior permission may result in a student's limited participation in events such as: competitions, year-end showcase, dance exams, etc, and/or removal from the team. Protégé Dance Company reserves the right to ask for the withdrawal of any student whose behaviour is disruptive or jeopardizes the progress of other students. Any student interested in becoming a part of our competitive team must be assessed. Please contact Miss Christine to arrange an assessment. Protégé Dance Company welcomes all newcomers with open arms! Please feel free to contact us with any questions you may have. I wanted to take a moment to say how pleased I am with Claire's progress this year. Since Claire started with the competitive team, I have seen significant development in her confidence, self-expression, responsibility and team spirit. I credit much of that to the positive influence of her teachers and fellow students at Protégé. I am impressed by the poise she shows in the face of challenges, and it's clear that she is benefiting from strong role models at the studio. Thank you for creating such a healthy atmosphere at Protégé." "I just wanted to send a few pictures to share some of the wonderful moments from Natalie's first competition. I am thankful for the opportunity and we appreciate it very much. Natalie is so happy as is evidenced in every picture she takes. I am also happy that she gets to spend time with great role models at Protégé both young and old alike. My only child now has big sisters who are just as passionate about dance as she is 😁!!!"